THE DECO DIAMOND. 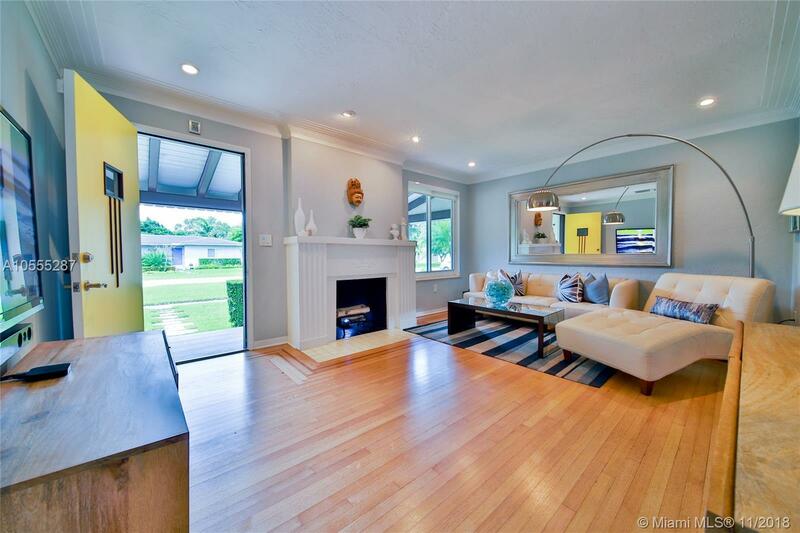 Be dazzled by this sparkling and spotless 1939 Art Deco detailed home with smart upgrades. Preciously preserved features include gorgeous hardwood floors with inlay detail, spade-shaped archways, engraved limestone fireplace with tropical floral motif, bright vaulted-ceiling sunroom with wood beams and quarry tile, and mint condition designer bathroom tile. All new enhancements feature impact windows, new plumbing & electric, washer & dryer in sunny laundry room, and large updated kitchen with granite countertops and SS appliances. Pristine one-car garage w A/C can easily be converted into 3rd bedroom. Spacious, impeccably maintained backyard with original wood-burning oven is perfect for entertaining. This Deco Diamond sparkles in the heart of Miami Shores!